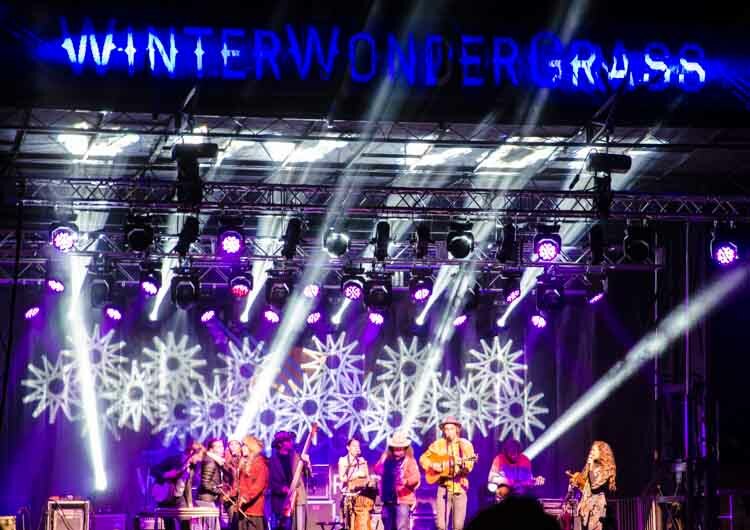 Originating out of Avon, Colorado, WinterWonderGrass Tahoe is a festival that is promoted and headlined by Michigan bluegrass rock stars Greensky Bluegrass. This year the event offered a unique twist to your standard festival, including a beer tasting each day from 2:30pm-5:50pm where 18 regional craft breweries presented an array of tasty samples. 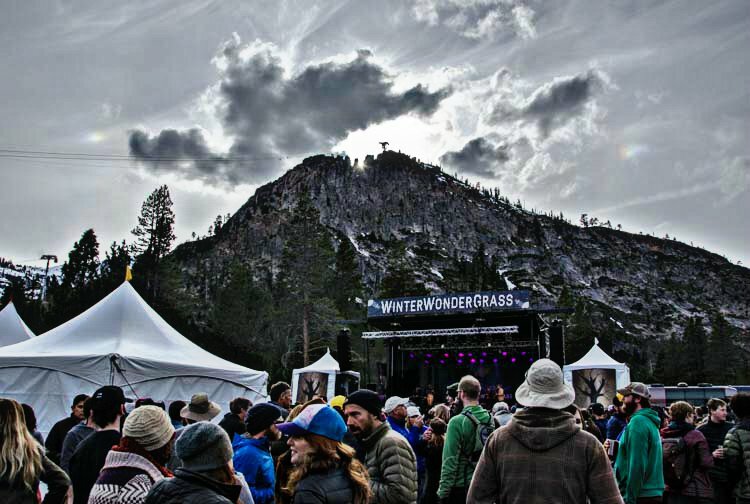 With two smaller stages in the beer tasting tents, and a large main stage at the center, Squaw Valley served as the perfect venue for the event. Saturday’s shows all sold out in advance, boasting full capacity with both the daytime festival and late night concerts. Standout artist Head for the Hills played multiple 30-minute sets throughout the course of the day, bringing true Colorado bluegrass style to Lake Tahoe. We have no doubt they’ll be headlining in the near future. 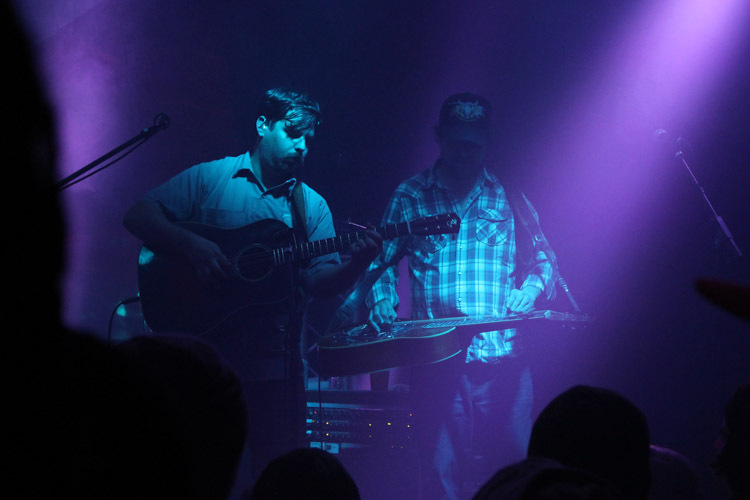 Other artists took to the stages, including Dustbowl Revival, Trampled by Turtles and Brothers Comatose, all of whom provided great entertainment throughout the day for fans and beer drinkers alike. The evening brought colder weather, puffy coats and, of course, lots of great performances that went late into the evening. The main festival grounds presented music from 2:30pm – 10:00pm, and it didn’t stop there! 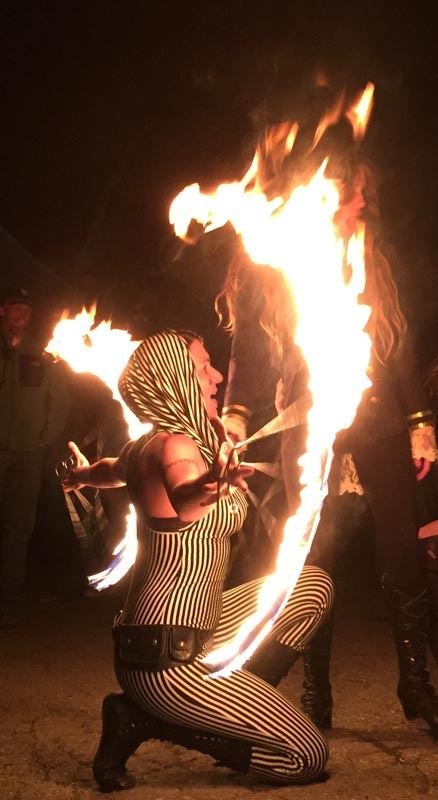 Once the festival grounds closed their gates, the party was promptly moved over to the Olympic Valley Lodge where late night shows kept the night going. 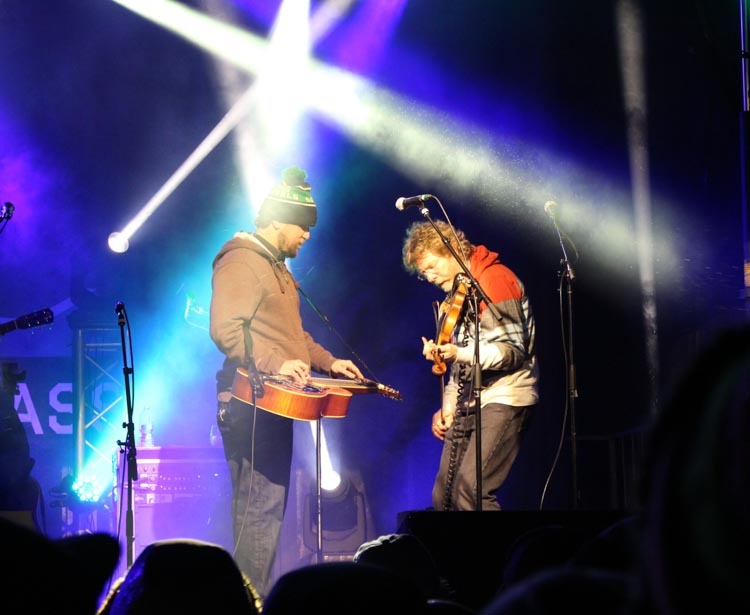 Bluegrass legend Sam Bush was also hanging out around Squaw Valley for the weekend, stepping on stage with headliners and playing both classic songs as well as rock and roll covers. His Sunday performance was one for the books as he performed his hit “Same ol’ River” alongside Greensky Bluegrass during the headline performance. 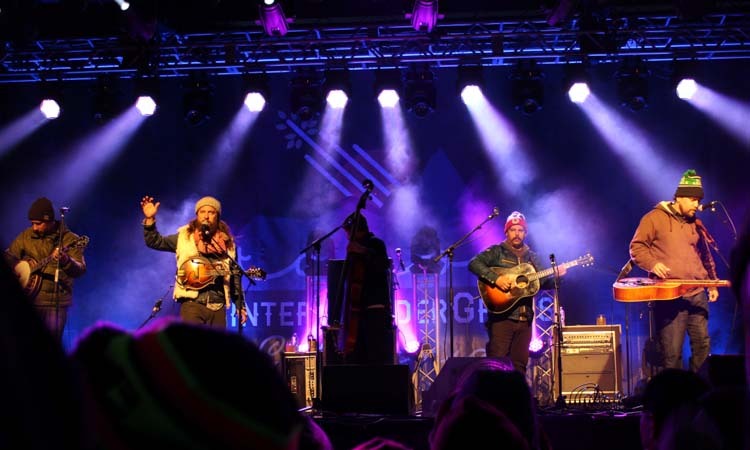 The festival rounded to a solid finish with Bush jamming along with the “Winter Wondergrass Allstars”, a set that featured members from several of the bands that performed throughout the weekend. Check out a sample of Head for the Hills below! 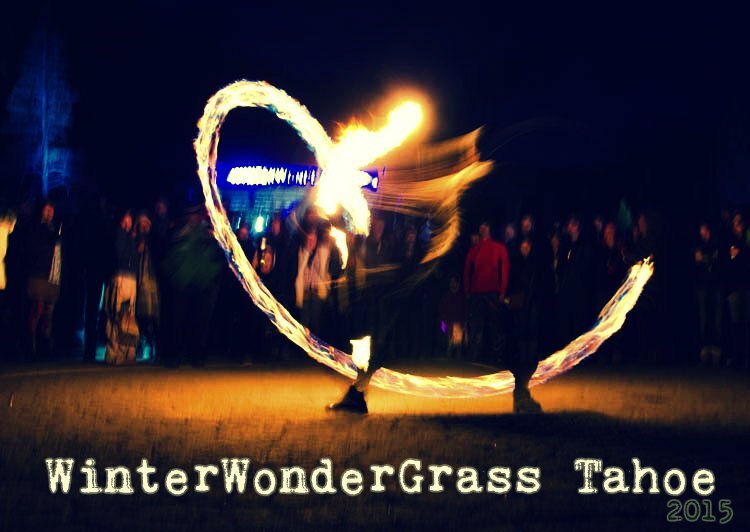 And don’t forget to look out for festival information next winter as we will be expecting to see many returning acts!